The Hamilton County Clerk’s office was not a race Democrats should have won. The Hamilton County Democratic Party was up against Tracy Winkler, a member of the Winkler local political dynasty. Robert C. Winkler is the current Common Pleas Court judge and Tracy is married to Ralph Winkler, the current Probate Court judge. 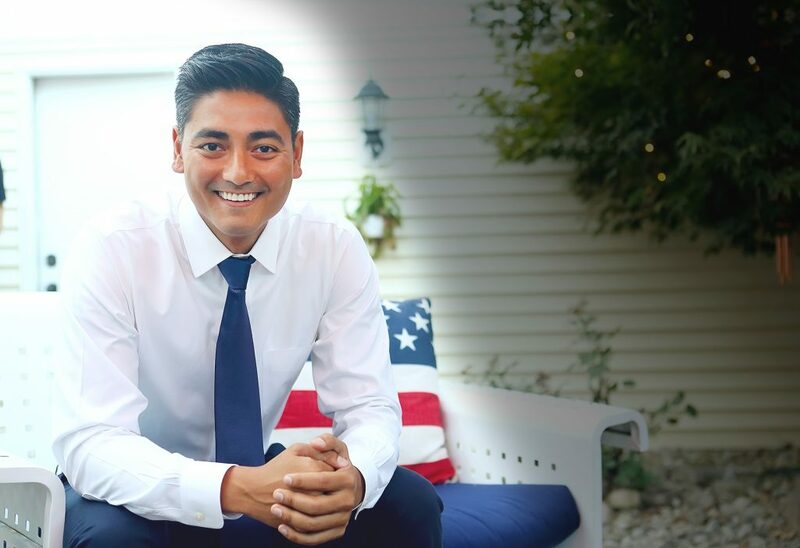 Out of the blue comes Aftab Pureval, a young former prosecutor and Ohio State student body president who took a leave of absence from his job at Proctor & Gamble to run for clerk of courts. How did a guy with such an strange-sounding name (strange for Southern Ohio, anyway) beat a strong incumbent? First, he turned his name into an advantage. Instead of running from what many in Southern Ohio would see as a funny first name, he joked about it. His Aftab commercial is nothing short of brilliant. Mixed in with him introducing himself is a duck that keeps popping up, saying “Aftab” like the Aflac duck. People loved this commercial. It’s funny. It’s memorable. And it turned his name into an asset. You may have noticed it in his commercial above, but you can see it again in his stump speech. This is a guy who connects with people and isn’t afraid to talk about his background, why he thinks it’s important, why he wants to be clerk of courts, and what he’s going to do. He must have worn the rubber off more than a couple pairs of shoes. He was everywhere. According to the Cincinnati Enquirer, he put more than 30,000 miles on his SUV during the campaign. While the core of Cincinnati is liberal, as you move further out, it becomes more conservative. Pureval didn’t hesitate to reach out and talk to everyone. As a former Ohio State student body president, talking to people seems to come naturally to him. One, we’re running an inefficient court system and those inefficiencies are passed down to the taxpayer. But more importantly, more critically, we are pricing out people in our communities who need our courts the most. He had a reason for running and he told people what it was right away. Like Barack Obama, his personal story also resonates with people. I can’t imagine spending this much time and energy just to get your name out there. You have to believe in what you’re saying and what you’re running for. I do, because I know what it’s like not to fit in, to be an outsider in the system. And that has a lot to do with my name. Pureval raised more than $200,000 for his campaign, a lot for a clerk of courts race. As important as this is, the money wouldn’t matter as much if he weren’t such a strong candidate with such a great story. What the money does is help get this story out there and help him overcome incumbent advantages of someone with a widely-known political name in the area. The Hamilton County Democratic Party ran a coordinated campaign for their candidates. Led by David Pepper, the Ohio state party chair, several candidates pooled resources and hired Columbus-based strategist Ernie Davis to run a coordinated campaign. Davis used data analytics to target voters and educate them on down-ballot candidates—especially first-time candidates like Pureval, Marilyn Zayas-Davis, and Alan Triggs. Zayas-Davis also won her race to become the first Latina ever to win an office in Hamilton County. And Triggs lost by only 10 points to another local dynasty name, Joe Deters, for the prosecutor position. One of the best things about the coordinated campaign was that the Democratic Party put together a nice handout that people could take to the polls showing all the Dem candidates. While canvassing, I handed out hundreds of these. I often get quacked at because people think it’s funny to call me Aflac. Bark or moo at me, I don’t care, as long as you remember my name is Aftab.